When you get the pen out the box, you may be disappointed, it’s not exactly the prettiest pen on the market, it’s quite bulky and is in effect a glorified biro. However initial appearances don’t take into account of what the pen can actually do. It has an infrared camera in its snout, a cradle (USB) connector slightly further up, then a speaker, an OLED display, power button, microphone and a earphone connector in the top. The name smartpen is just that. The pen can record everything you write on their special dot paper (more on this later) which includes text and graphics. The pen doesn’t actually care what you write, it just notes the position of the pen and how it’s moving across the paper and stores that information. Livescribe do sell additional software that can take written text and convert it to digital text (which is also included in the Pro version of the product). If you go back and use the same bit of paper, then the pen will notice that the sheet has been used before and store the new annotations seperately. The pen can also record audio in addition to storing the notes written on the paper. This can be achieved by the in-built microphone or using the (supplied) earphones which also have a microphone in each one, so the sound recorded is in stereo. The special dot paper is at the heart of the Livescribe system, it’s completely proprietary and you need to use it to both control the pen and for it to recognise the text or graphics being written. The paper has controls for recording, playback, jumping, volume etc. So tab the record button and the pen will start recording what’s being written and what’s being spoken. You need to get used to the way the Livescribe system is meant to be used, so say you’re in a meeting taking notes, the notes can be simplified as they’re actually pointers to the audio. Later tapping on a note and the pen will play back the audio from there. Of course copious notes can be taken and the pen will record them all. 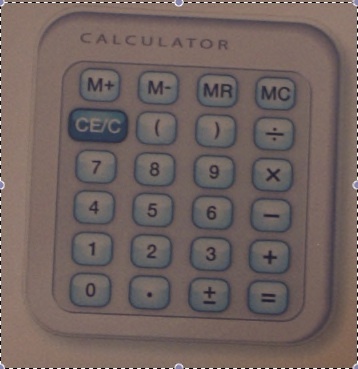 There are some ‘special’ types of dot paper which allow the pen to act as a calculator (basic, financial and scientific) by tapping on the printed calculator keys. Other pen features can also be accessed such as setting the time/date, viewing the memory used, software version etc. The dot paper is usually sold as a pad or journal and the inside cover contains these functions. It is possible to print your own paper (printer must be colour and support at least 600 dpi), however currently the system only supports US letter sized paper which is a problem for most of the world (apart from the USA). It’s important to use journals in order (or numbered pages from the same pad) as the pen ‘remembers’ what was entered in a specific numbered journal or pad. This isn’t immediately obvious, i.e. journals are sold as say Black Unlined Journal, 2-Pack, Numbers 1 and 2 or Black Unlined Journal, 2-Pack, Numbers 3 and 4 and the journal number means something, so if the journal is really being used as an ordered journal, use No 1, then 2 then 3 then 4 then go back to a new No 1 etc. The (4GB) pen will keep track of up to 4 journals at once, but it can’t differentiate between to journals both numbered say 2. Once a journal is filled, it can be archived through the desktop software. The pen comes with desktop software for both Windows and MacOS X. This allows transferring data from the pen to the PC (where PC in this case means the computer being used whether Windows or MacOS X based). Audio files are saved as MP3 and any graphics can be stored as PDFs. Livescribe also offer on-line storage so recorded information can be stored (archived) on their servers. The pages of a pad or journal are stored as that, with the associated graphics and audio. If the pen has been used multiple time on the same page, then each new use will be a different colour.It’s also possible to buy/download applications for the smartpen and these are available through the desktop (or via the web) these run on the pen itself and range from cheap and cheerful to weird through quite sophisticated. Things like hangman require drawing the noose etc like you would on the paper version. The only real disadvantage is being tied into using Livescribe’s dot paper, this is available in various sized pads and notepads, notebooks and journals and the price varies considerable (mainly due to the bindings), but they are generally slightly more than an equivalent ‘normal’ version so 4 notepad refills (4 x 60 sheets of dot paper 3″ by 5″) costs about $9.00 while a notepad pack (4 notepads) costs $13. Maybe soon they’ll let you print your own on A4 rather the US Letter. All the pens can be purchased through Livescribe’s site (though some pads and journals etc wont be shipped outside of the US). The pen comes in 3 versions 2GB $149.95, 4GB $169.95 and the 4GB Pro Pack 229.95 which also includes a black (rather than Titanium pen), a desktop charging cradle and leather case for the pen and a download code for the MyScript transcription software (to convert the written text to digital text). All pens come with a 3-D recording headset (really earphones), spare ink cartridges and a USB mobile charging cradle and 500MB of on-line storage. UK prices start around £120 for the 2GB pen and £140 for the 4GB version. Previous Previous post: Waze is in need of some girlpower!! !